This die grinder and stone kit set is intended for the professional use of polishing, smoothing, de-burring and sharpening. 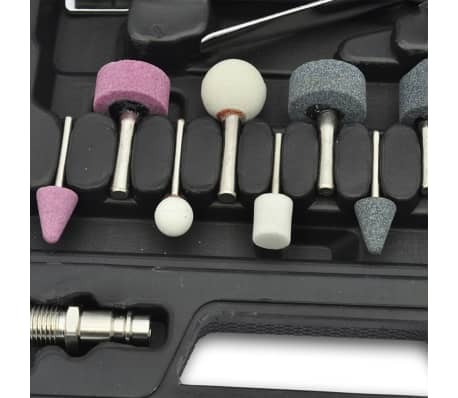 The 1/4" (0.2” diameter, 1“ shaft) and 1/8" (0.1" diameter, 1" shaft) stones are used for grinding. With its multi-functional features, the grinder tool set can be used for hobby, automotive and construction jobs. 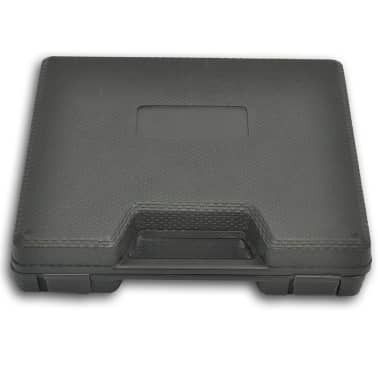 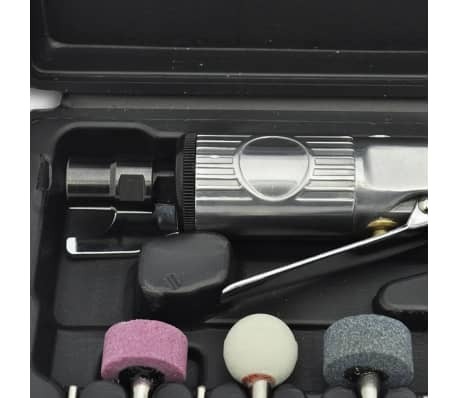 Thanks to its ergonomic design, lightweight housing, low vibration and variable speed control, the whole device is very easy to handle. 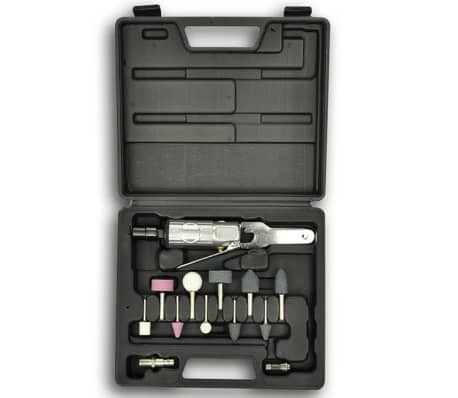 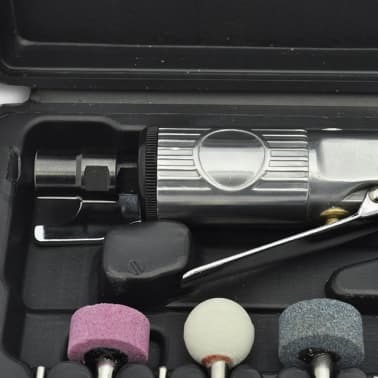 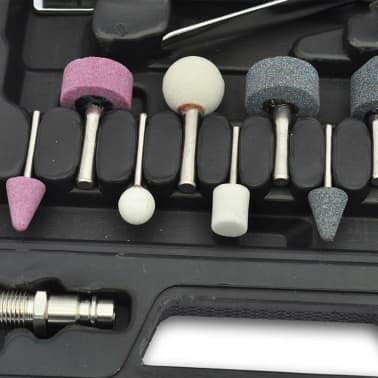 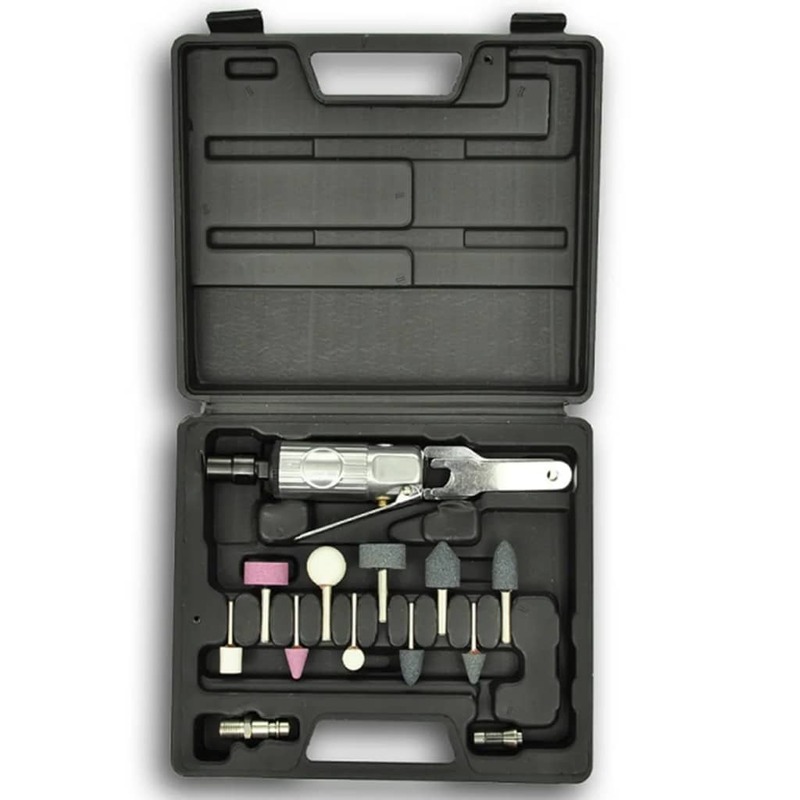 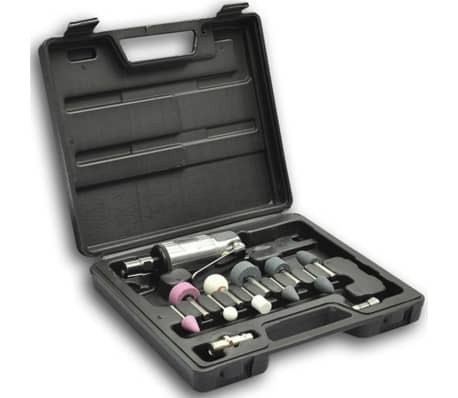 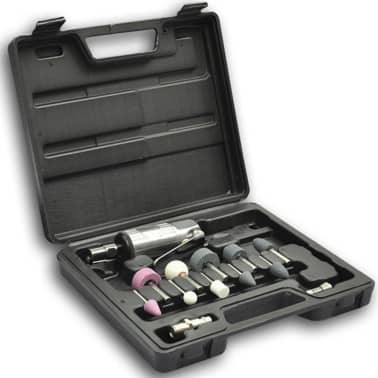 Delivery includes 10 x interchangeable grinding stone, 1 x air die grinder with a 0.2" collet, 2 x hand wrench, 1 x 0.1" collet and 1 x air connector. 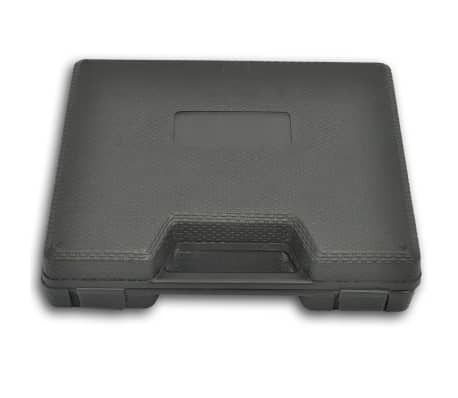 All accessories are well organized for easy transport.